place to park? Do we need to bring quarters to feed the meters? Leave your quarters at home. 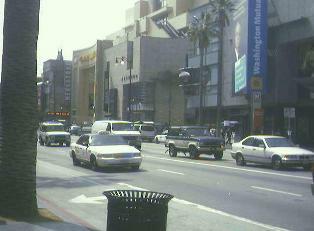 You can find public parking at the Hollywood and Highland Center. shops, Mann’s Chinese Theater, the Kodak Theatre and much more. How do we get tickets to talk shows that tape in Hollywood? What do people usually do when visiting Hollywood Boulevard? different movies. Watch out for the Pirate, he may catch you by surprise by jumping in front of you.